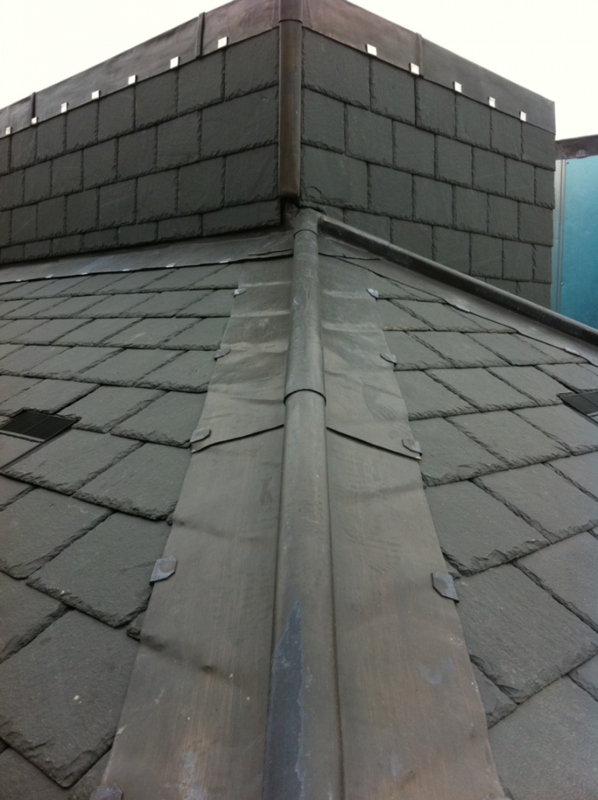 Slate Roofing – Enright Roofing Ltd is a well established and highly regarded Company based in London with over 20 years experience in slate roofing. 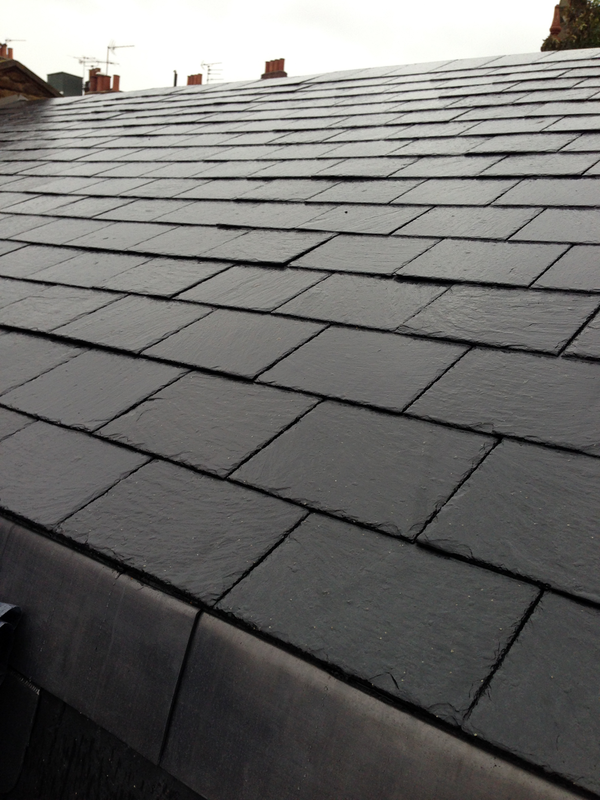 CONTACT US FOR A FREE, SLATE ROOFING ESTIMATE AND ADVICE. The roof above (on the left) is built using Spanish Slate. 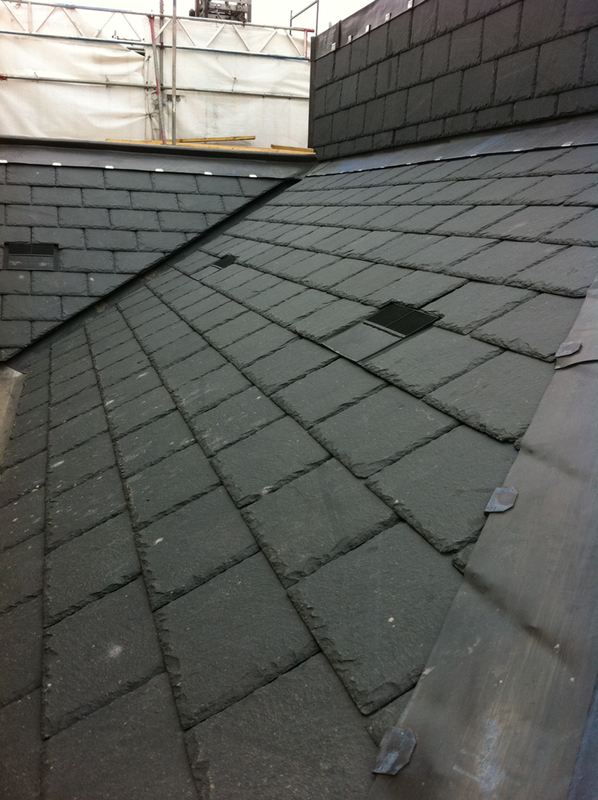 Roofing services include mastic asphalt, built up felt roofing system, slating, tiling and lead sheet roofs. We also repair asphalt stairs. Our roofers specialise in mastic asphalt roofs and have completed a lot of this type of work in Chelsea, Kensington and Putney. Call us to discuss your requirements for roofing installation or repair in central London. New roof installation, minor/major roof repairs, renewals to existing roofs, balconies, extensions & garages. Enright Roofing installers carry out work efficiently and to a very high standard at competitive prices. Lead is used mainly for domes, barrel shaped roofs and guttering and can also be used for flat roofs. Lead work is considerably more expensive than asphalt or felt due to the cost of materials and labour. Built-up felt roofing systems can be applied by a ‘roll and pour’ process using hot bitumen or a torch on method, which is equally efficient. Enright Roofing provide slating roofers in London including Barbican, Barnes, Battersea, Bayswater, Belgravia, Bloomsbury, Camden, Chelsea, Chiswick, Churchill Gardens, City of London, Clapham, Clerkenwell, Covent Garden, Dulwich, Finsbury, Fitzrovia, Fulham, Greenwich, Hammersmith, Hampstead, Highgate, Holborn, Islington, Kensington, Kew, Kingston, Knightsbridge, Leicester Square, Marylebone, Mayfair, Mortlake, Notting hill, Old Street, Paddington, Pentonville, Piccadilly Circus, Pimlico, Putney, Richmond, Shaftesbury Avenue, Shepherds Bush, Shoreditch, Soho, South Kensington, St James’s, St Johns Wood, St Katherine’s & Wapping, Temple, Victoria, Wandsworth, Westminster, Whitechapel, Willesden etc.